Google Wallet is Google’s new service that promises to let your ditch your wallet, physical money and cards for an App on your smartphone. How does it work? Read on. Today, we’ve joined with leaders in the industry to build the next generation of mobile commerce, With Citi, MasterCard, First Data and Sprint we’re building an open commerce ecosystem that for the first time will make it possible for you to pay with an NFC wallet and redeem consumer promotions all in one tap, while shopping offline. 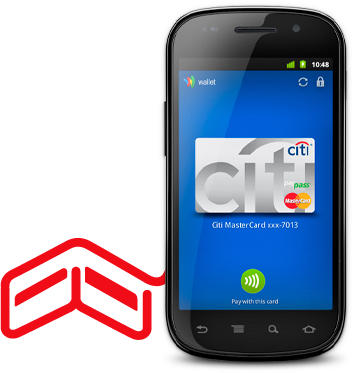 Payment will be done either through a PayPass eligible Citi MasterCard or a Google prepaid card. Google Wallet will work using near-field communication (NFC) to secure payments within seconds by simply checking into any PayPass-enabled terminal at checkout. The company is also concerned about security and has promised to create a unique PIN code which will be used to protect all the sensitive data, including credit card numbers, which will be encrypted and stored on a chip, known as the secure element, independent from the phone’s memory and only accessible through authorized programs. There will also be daily deals, much like those found on sites like Groupon. Those deals will be available on Google Ads as well as check-ins inside stores. This service will have a global reach. Google Market will be accepted at over 124,000 PayPass-enabled merchants nationally and more than 311,000 globally. The service will first debut in test mode in New York City and San Francisco, where stores, Coca Cola vending machines and even taxis will be able to interact with the technology. Wow, are we ready to ditch our wallets yet?